Nietzsche's vision of the 'overman' continues to haunt the postmodern imagination. His call that 'man is something that must be overcome' can no longer be seen as simple rhetoric. Our experiences of the hybrid realities of artificial life have made the 'transhuman' a figure that looks over us all. Inspired by this vision, Keith Ansell Pearson sets out to examine if evolution is 'out of control' and machines are taking over. In a series of six fascinating perspectives, he links Nietzsche's thought with the issues at stake in contemporary conceptions of evolution from the biological to the technological. 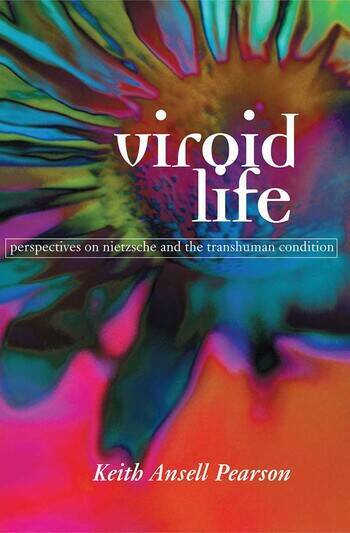 Viroid Life; Perspectives on Nietzsche and the Transhuman Condition considers the hybrid, 'inhuman' character of our future with the aid of Nietzsche's philosophy. Keith Ansell Pearson contrasts Nietzsche and Darwin before introducing the more recent figures such as Giles Deleuze and Guy Debord to sketch a new thinking of technics and machines and stress the ambiguous character of our 'machine enslavement'.